Hi, my name is Alice and I am a nail biter. 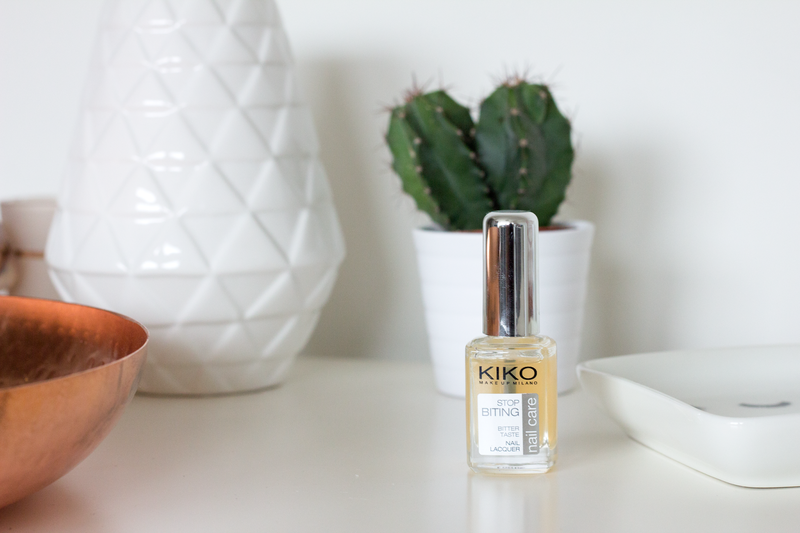 I just had a relapse recently and want to take you with me in my journey to recovering my long and healthy nails. I used to bite my nails compulsively all through high school. I remember my best friend trying to make me stop by calling me out every time I was going at it without even realizing. My parents were doing the same at home, to the point that I would fight with my dad because he wouldn’t shut up about it. At the age of 18, during the last year of high school, I met my first boyfriend and within a few months of dating him I had stopped biting my nails and stopped smoking. I still do not know what was really the cause of this change because it had never been a conscious choice of biting in the first place. In any case, I haven’t been biting my nails for almost ten years until a few weeks ago. It started off with peeling off my nail polish and it escalated to full on nail biting during my Dutch class. I was mortified but couldn’t stop. The irregularity of the nails bothered me and while trying to fix it, I was just ripping more nail off. 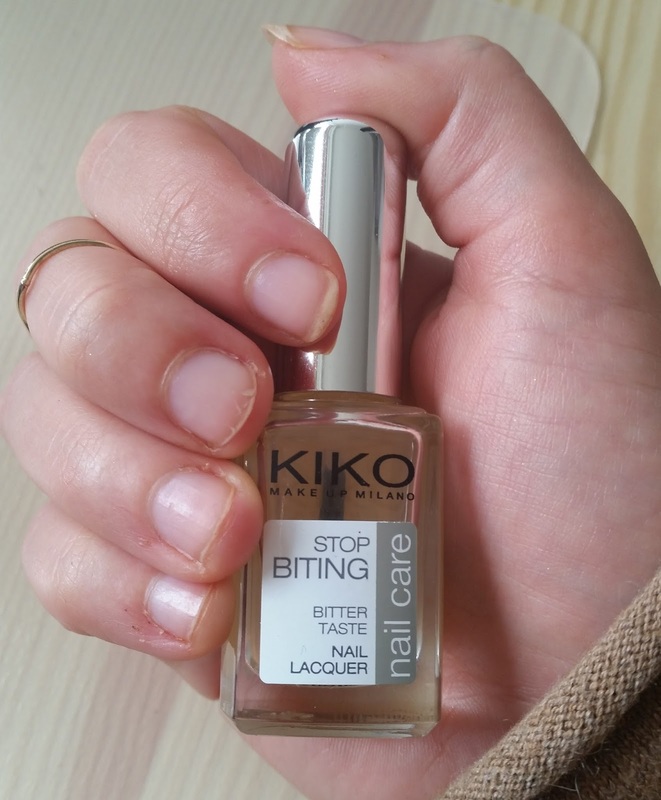 Since my will power wasn’t working, I decided to try the Kiko Stop Biting Bitter Taste Nail Lacquer. This is a “strengthening nail polish with a bitter (really horrible) taste that will help fight the nail biting habit”. This polish tastes SOOOOO unbelievably bad that I haven’t even been going close to my nails in the past few days. Even worst, I cannot lick my fingers after eating some delicious food. Another drawback is that this is not a very good base coat for other nail polishes. On the contrary, any colored polish i put on top of it will peel off within the first two days, so I am punished with a few weeks of natural nails until I can revert to my standard base coats. So I guess the bitter taste is working for now and I am looking forward to growing out my nails again and showing you all the gorgeous new pastel nail polishes I bought for spring! Did you ever bite your nails? If yes, how did you get out of it? I would love some suggestions that don’t taste this bad!